Shopping for a quality pre-owned Nissan vehicle has never been easier, thanks to our Nissan Certified Pre-Owned at Clear Lake Nissan. In order to qualify for our Nissan Certified Pre-Owned, vehicles must meet certain criteria. First, vehicles must be less than six years old from the original in-service date, have less than 80,000 miles, and have a clean, non-branded title. Finally, the Nissan vehicle must pass a rigorous 167-point comprehensive Nissan Certified Pre-Owned inspection. Nissan Certified Pre-Owned vehicles come with a 7-year/100,000-mile limited warranty coverage. The Limited Warranty covers the powertrain components. Extensive Protection: Covers 600+ components including engine, transmission and drivetrain. Coverage: 7 years from the original in-service date of the vehicle or 100,000 total miles. Genuine Nissan Parts: Ensures any necessary replacement parts will be made using new or remanufactured Genuine Nissan parts. 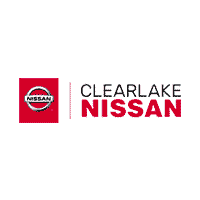 Authorized Nissan Repair Facilities: Contact Clear Lake Nissan or call 1-800-NISSAN-3 to find repair service nationwide through any authorized Nissan dealership. Using state-of-the-art equipment and a discerning eye, each Nissan Certified Pre-Owned vehicle gets an obsessively detailed inspection by a Nissan-trained mechanic prior to earning Certified status. Should your Nissan ever become disabled as a result of a mechanical breakdown, a Roadside Assistance Representative will help arrange for your Nissan to be towed to the nearest Nissan dealership or to the nearest authorized repair facility. The coverage provides up to $100 per claim for towing costs. You will receive reimbursement for car rental expenses up to $35/day, to a $175/5 day maximum if your Nissan needs to be repaired due to a failed covered component. Trip interruption reimburses you for alternative transportation, meals, and lodging up to $500 if your Nissan is disabled due to a mechanical breakdown caused by a covered component. For trip interruption benefits the breakdown or failure must occur more than 100 miles away from your home. The Nissan Certified Pre-Owned Limited Warranty ensures that necessary repairs will be made using only Genuine Nissan new or remanufactured parts, or Nissan-approved parts. At Clear Lake Nissan, we specialize in factory-certified parts. Enjoy a SiriusXM Satellite Radio 3-month trial subscription with the purchase of a Nissan Certified Pre-Owned vehicle. Trial subscription is only available for Nissan vehicles factory-equipped with SiriusXM Satellite Radio. Available only at the time of purchase, Nissan offers the Security+Plus® Extended Protection Plan covers more than 1,300 components. When combined with the 600+ components already covered by the Nissan Certified Pre-Owned Limited Warranty you will benefit from over 1,900 covered components. The two optional coverage plans include 7 year/100,000-miles or 8 year/120,000-miles. Components exclusively covered by the Security+Plus® Extended Protection Plan are brakes, climate control system, steering, suspension, audio/video/navigation, and electrical.